Brinner : Showers and flowers and parties, oh my! I don't even know where to start really. Well, the start tends to be the traditional place to begin and even though I'm definitely not a traditionalist, I guess I might follow the norm for now. The last few days have been a whirlwind. There's been so many things going on. I wanted to write about all these things while I was working on them, but I really couldn't as I was planning a series of surprises (*I* wasn't planning them by myself, but with a team of wedding elves*) for my friend. We organized a bridal shower for her as well as a bachelorette spa getaway. I've actually been in Ottawa for the last few days and only got home last night. The brisal shower, which you saw a few photos of already, was organized at the bride's (future) mother-in-law's home. 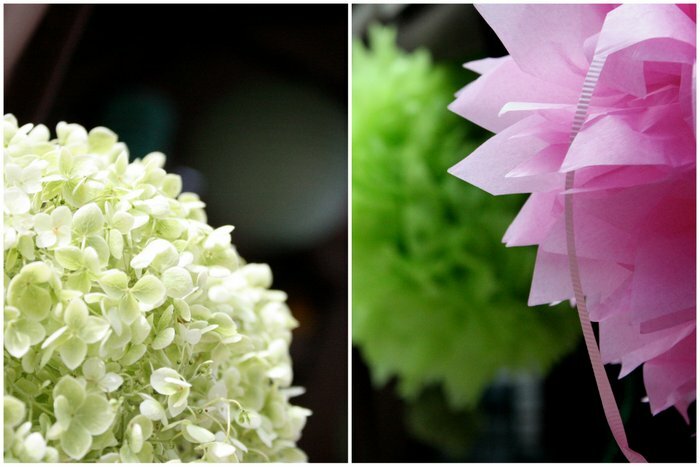 We selected theme colours of pink and green for the decorations which we tried using them in absolutely everything. 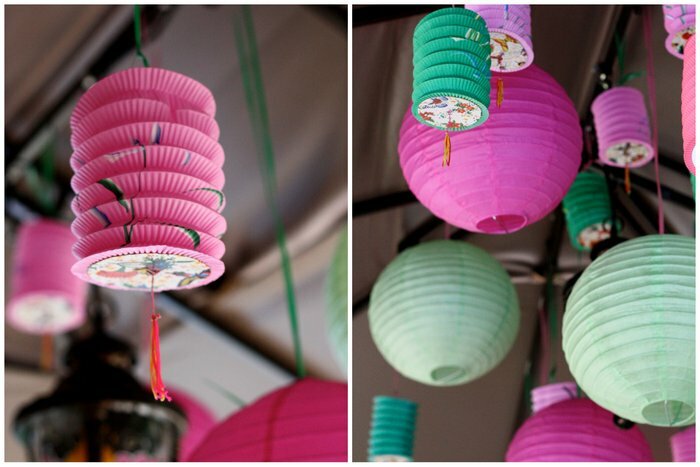 I bought a ton of pink and green paper lanterns from Chinatown and made teeny tiny paper flags out of washi tape. I also made the party favours in pink and green of course. 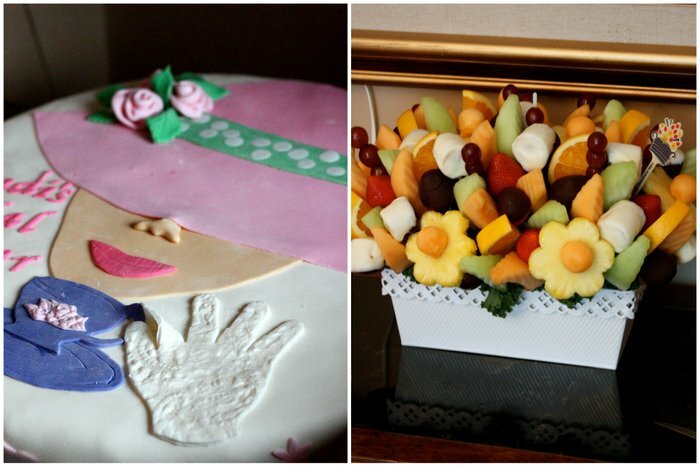 There was a ton of food, including a pink and green tea party cake and edible arrangements. We all wore hats and played some party games. It was a great day! The bride was surprised and happy (after she got over her shock of seeing so many people at her mother-in-law's backyard, where she was supposed to have a relaxing day by the pool). The festivities didn't end there, but we also took the bride away for an overnight spa getaway filled with massages, champagne cocktails and some much needed time by the pool. There's so many photos, so I'll show you some of those in another post. Let me know if there's something you want to know more about, be it food, decor, games or any of the other details of the shower. I learned a lot of things organizing this one, so I'll happily share if you're organizing one or are just curious! What did you think of the decor?